The magical island of Capri has charmed visitors for centuries. Great Roman Emperors to famous playwrights have all found themselves drawn to Capri’s sheer cliffs rising out of the Tyrrhenian Sea. Capri travel is a luxurious escape from the mundane. You will be serenaded by the breeze rustling through fragrant lemon trees, warmed by the blazing summer sun that washes the Sorrentine Peninsula and refreshed by a swim through the enchanting grottos. 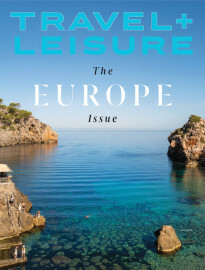 Check out the Travel + Leisure Capri travel guide to get the best hotels, restaurants and activities for your dream vacation. Everything on Capri is a short walk or bus ride, so it’s easy to see many attractions in a day trip. 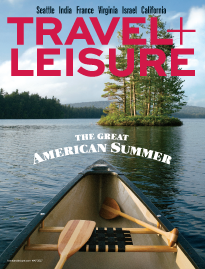 Here’s Travel + Leisure’s list of favorite activities. The peak months to travel to Capri are June through August, when tourists flock to the island in droves, driving up prices for everything from hotel rooms to hydrofoils. The early and late summer months (April, May and October) are the best times to visit Capri—the weather is still warm, but the crowds have died down. Winters are mild, but rainy and many shops and restaurants are temporarily shuttered.